Infallible Techie: How to count distinct values of field from an object in Salesforce? How to count distinct values of field from an object in Salesforce? 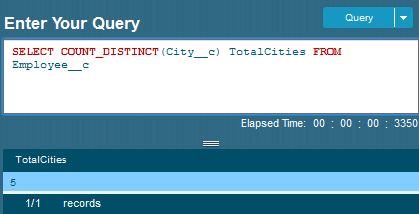 Count_Distinct() is used to find the number of distinct non-null field values as mentioned in the query criteria. Below is the output of the above query execution.